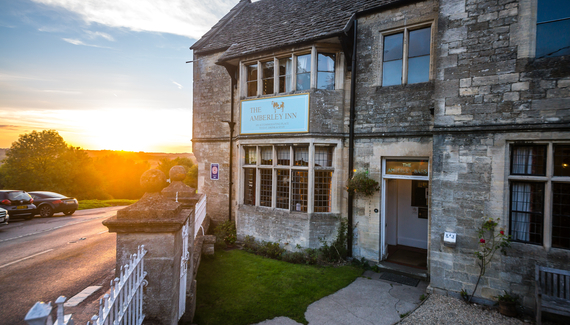 Wend your way up Culver Hill to this impressive 1820 stone inn. 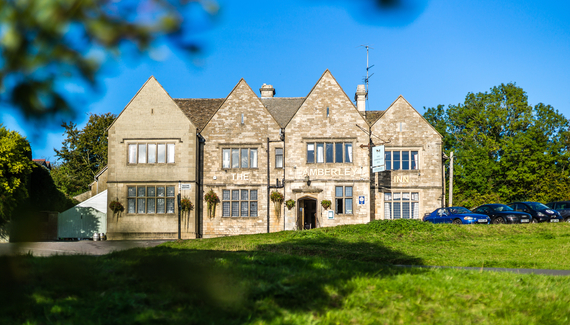 The Amberley, encircled by National Trust AONB, has an enviable setting in the heart of the Cotswolds. 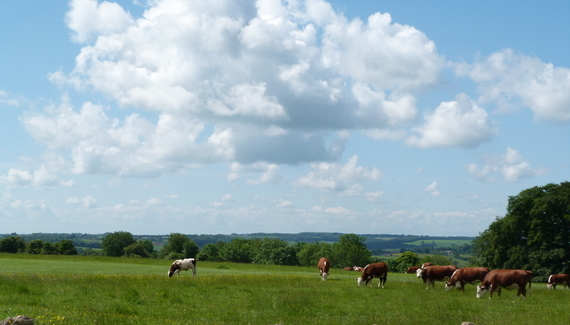 Walkers and cyclists will be happy here; waggy friends are welcome too. 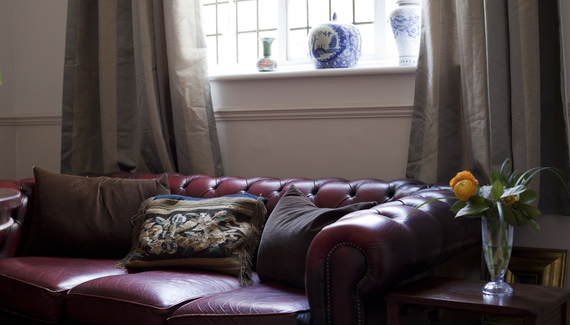 Enter through the reception into an enticing bar area: oak panelled walls, parquet floors, open fireplaces, light pouring through lead windows. 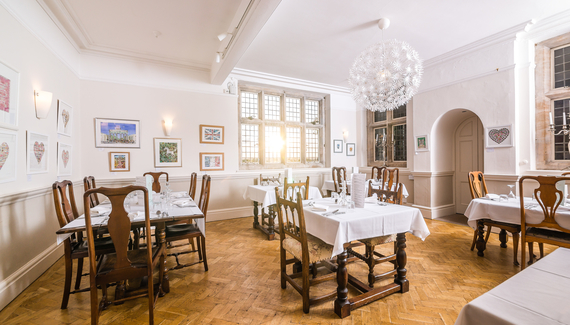 Hang out in the snug; eat in the bar or the more formal dining room, perhaps decent pub grub – burgers, pies, sandwiches; or opt for bistro-style dishes like whitebait with homemade tartar sauce, salt and pepper squid, rump of lamb with dauphinoise, steaks – much of the menu is gluten-free. There’s a good selection of draught ales and ciders and heaps of books and games. Jane and Trevor gave up busy London lives, sailed the Med, and then chose this pub as their next project – and what a success it is! 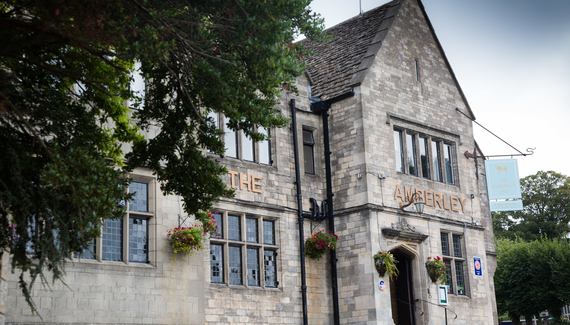 Have you visited The Amberley Inn? Starters from £4.95. Lunch from £10.95. Mains from £10.95. 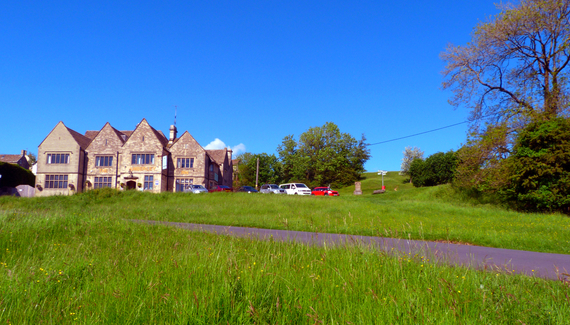 Surrounded by National Trust Minchinhampton Common: 450 acres of beautiful walks from the door. Pub garden gated and well-enclosed. Homemade biscuit in room. Water bowls, advice on walks, poop bags. Hose for mucky paws, towels after a good shake. 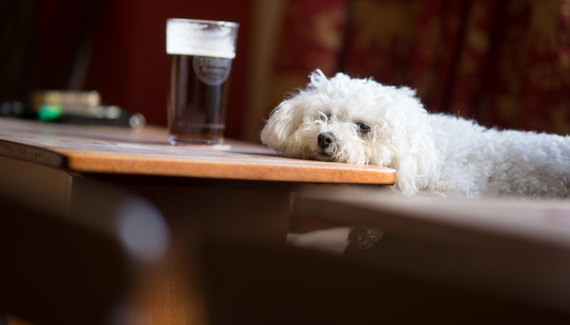 Lounge bar & snug area for doggy dining – gluten-free breakfast sausages sometimes! Dogs £10 per stay. Max. 2 per room.